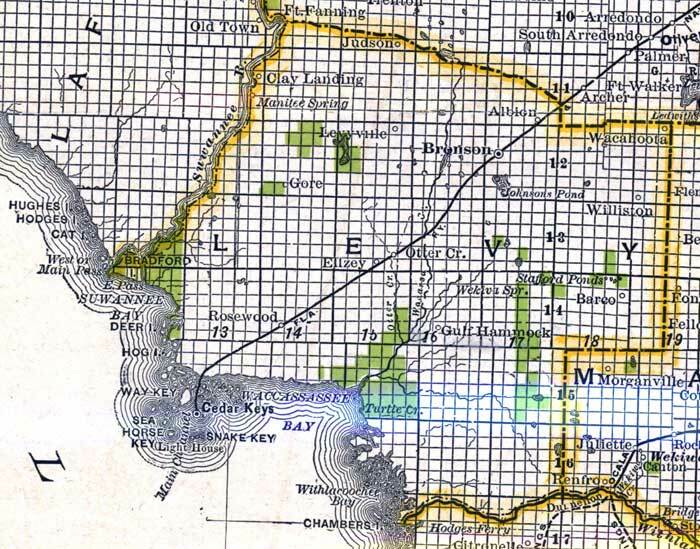 Description: This detail of a map of Florida indicates Levy County current to 1888. The map was issued by the Florida Southern Railway Company. It shows lands, owned, and offered for sale by said department. Six square miles makes up a township, which is numbered to indicate location. The green colored squares are for sale, representing one square mile or 640 acres. Towns featured on this map include Williston and Bronson.